The 675LT becomes the latest McLaren road car model to be factory-filled with Mobil 1 New Life™ 0W-40. The high technology engine lubricant has an optimum combination of synthetic base oils designed to meet the high performance engine demands. The product’s advanced formula contains additives specially developed to better protect the engine by preventing build-up on critical engine parts, allowing McLaren engines to run like new after thousands of miles, even in the harshest driving conditions. The 675LT uses the familiar seven-speed SSG transmission found in the other Super Series models, retaining the Normal, Sport or Track modes. These settings have been recalibrated to produce more eager performance, with optimised throttle response and gearshifts up to twice as fast as previously offered. The newly developedIgnition Cut technology is a technique adopted from Formula 1™ which sees a momentary cut of the fuel spark on gearshift. This delivers the fastest change possible, and is accompanied by a dramatic aural ‘crack’ on both upshift and downshift. 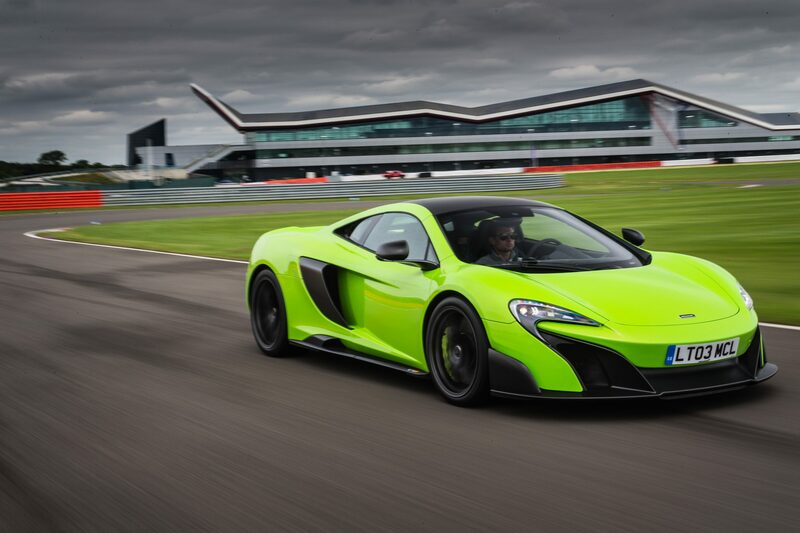 For optimal performance, the 675LT uses the innovative Inertia Push technology – pioneered on the 650S. Available when in the Track setting – above 5,000rpm and from 60 percent throttle input – Inertia Pushharnesses the built up kinetic energy to deliver an impulse of torque as the next gear is engaged, ensuring no drop in performance as the driver moves up through the gears. Lightweight Alcantara®trim with contrast stitching is standard throughout the cabin, which saves a combined 3.5kg versus leather, although a full Nappa leather interior is available at no extra cost.